There is nothing like waking up to penguin chatter. 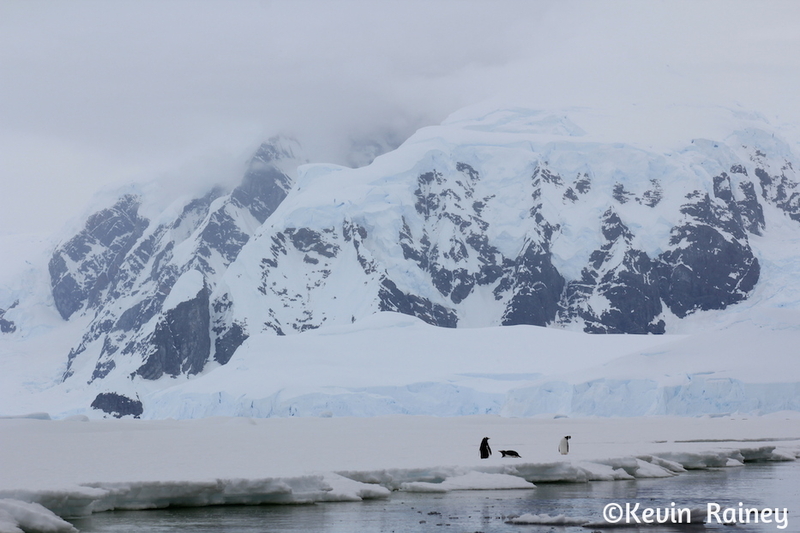 Our gentoo penguin friends, located about 50 yards from us, were like our polar roosters this morning as we slept overnight on Antarctica’s Rongé Island. We woke up around 6 a.m. and began to pack up our camping gear. We made sure to fill in our snow trenches so that the penguins would have an undisturbed path on the island. Then we boarded our Zodiacs back to the Sergei Vavilov. Back on board, we had continental breakfast before taking a short nap. Unfortunately, I overslept so I was in a hurry for the last Zodiacs. I hurried and stupidly forgot my gloves and an additional layer, but I made the last boat. What I didn’t realize was how windy and cold it was going to be today traveling in our Zodiak. To make it worse I was sitting in the front and my jacket was a little wet from camping the night before. 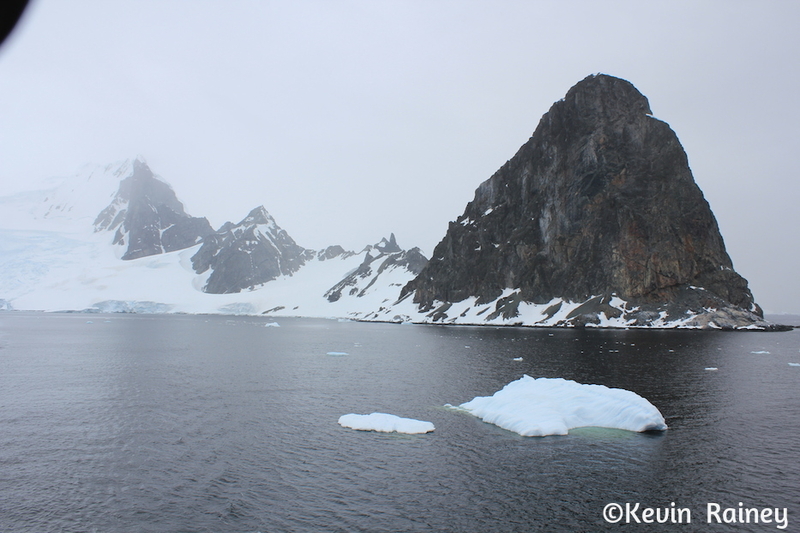 After about an hour of touring Orne Harbor, I felt like I was starting to be going down the initial path of hypothermia. I recognized my symptoms were getting worse and after a long period of chattering, I started become confused. I spoke up and our guide Geoff gave me handwarmers and asked me to sit in the bottom of the boat out of the wind. 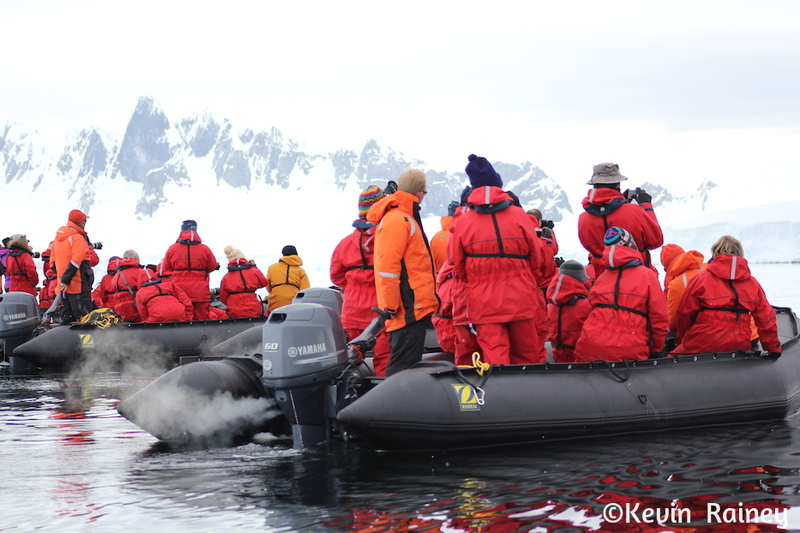 A few others were also having problems, so they transferred us to another Zodiac for a quick return to the ship. Our French friend, Jacque, piloted us back quickly. He called ahead to the ship and asked them to fire up the sauna. Upon walking up the gangway, I went straight to the sauna where I spent about 15 minutes. I warmed up but I still wanted to return to my room and get under the covers for a while. 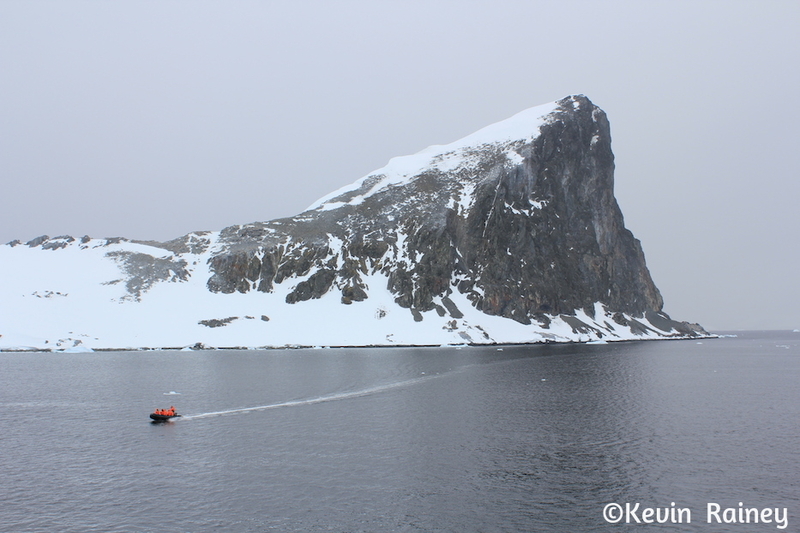 After Jeff returned, he said that I didn’t miss too much besides seeing a lot of chinstrap penguins. He explained that the weather was bad and they shortened the excursion. Then Jeff and I went to lunch in the dining room where I thanked Geoff and Jacque for their help earlier. Our Dr. Mike recommended that I skip afternoon kayaking. Jeff and I decided to visit the bridge and watch our approach to Wilhemina Bay. 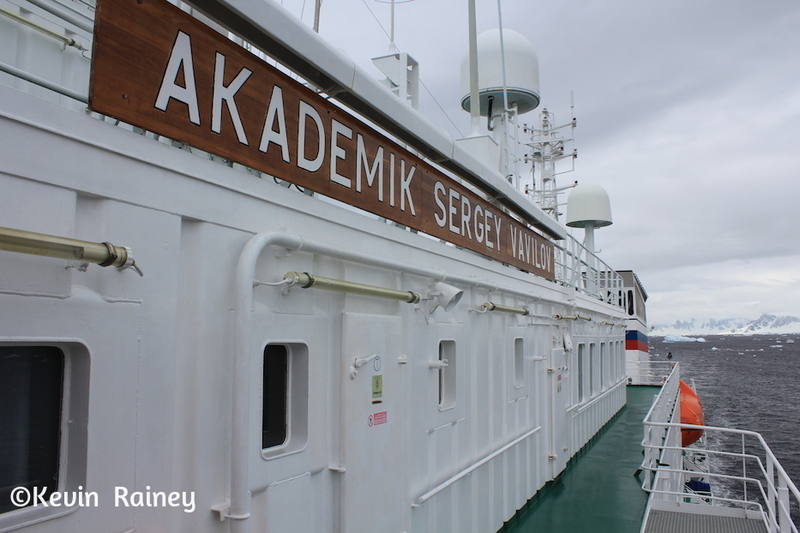 As we sailed north back up the Gerlache Strait, we watched with fascination as Captain Valery Beluga and the other Russian sailors carefully positioned Akademik Sergei Vavilov in the bay. This navigational maneuvering was unlike anything I have ever witnessed. 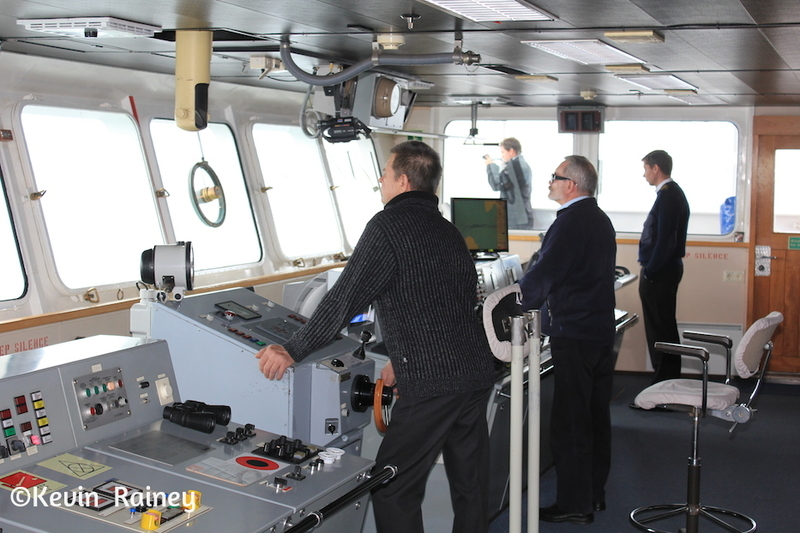 Captain Beluga gave instructions to temporarily “park” the Akademik Sergei Vavilov on a massive ice sheet. 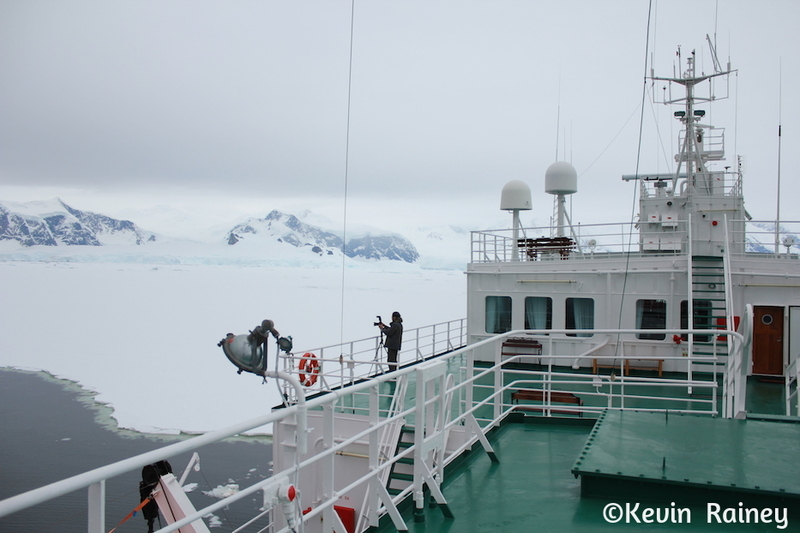 They used bow and stern thrusters to position our ship on the ice sheet. I couldn’t believe how thick it was and how far off into the distance that the ice extended. 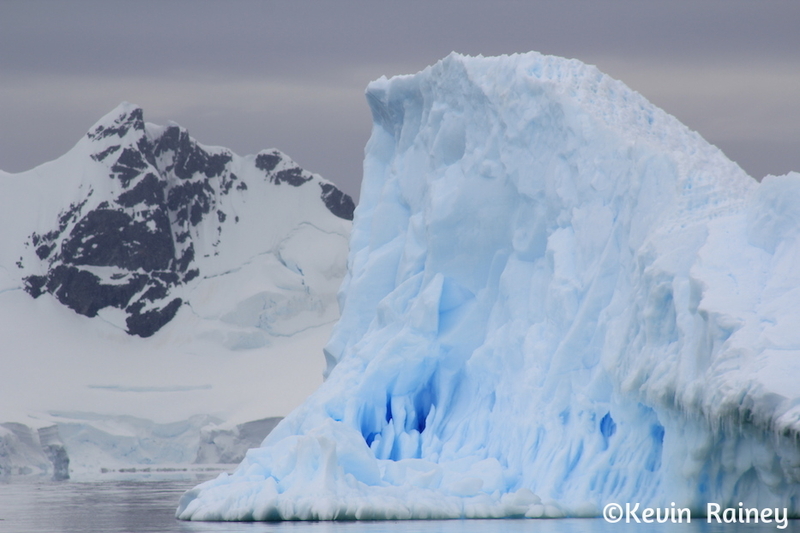 This was the quintessential image I thought of Antarctica ice possibly impeding our journey. I hoped we wouldn’t become stuck, but it was beautiful and eery at the same time. Speaking of ice, it’s interesting to know about the different types of ice. This type of ice is what they call fast ice (or shore-fast ice) that is “fastened” to the coastline, to the sea floor along shoals or to grounded icebergs. It doesn’t move with currents and winds. The other main type of ice is drift ice. This type of ice is carried along by winds and sea currents. 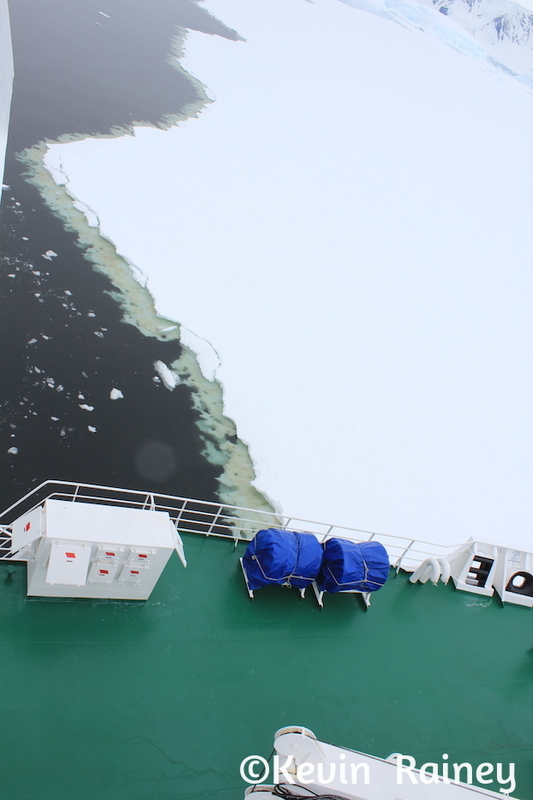 When drift ice is driven together into a large single mass with more than 70 percent coverage, it is called pack ice. 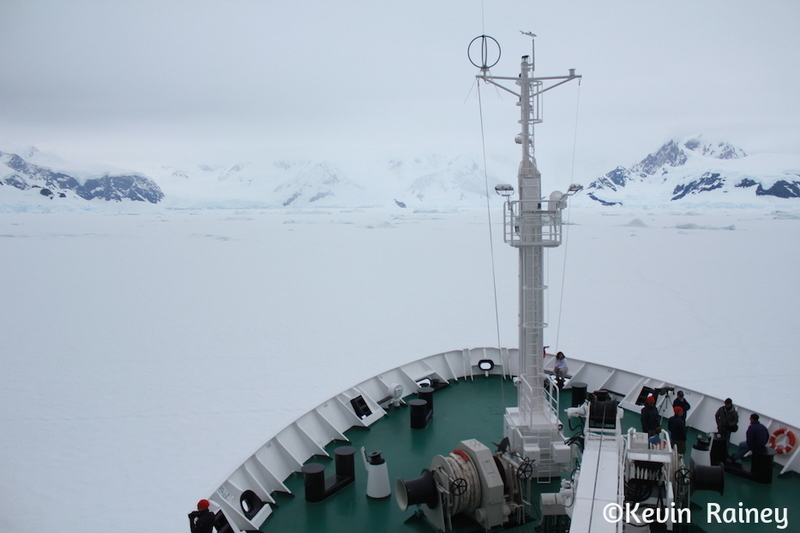 It is pack ice that can be most dangerous to ships because it is usually thick. 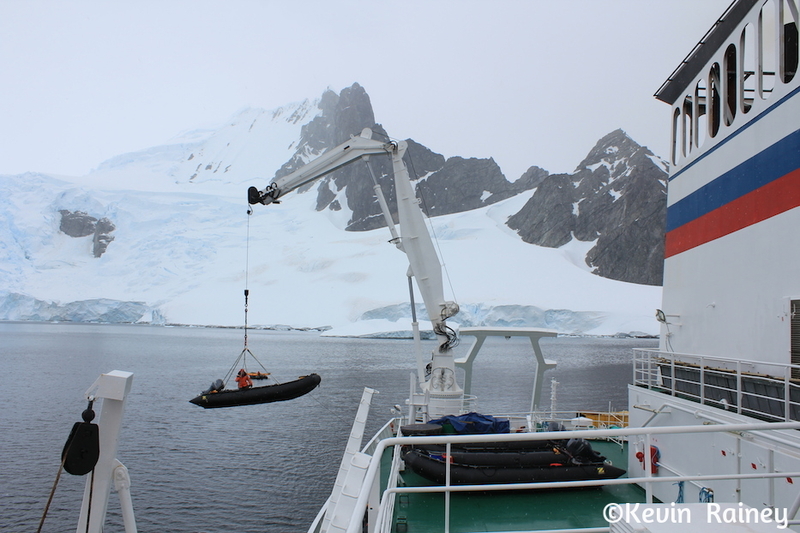 Our kayak guide, Ian, discussed ice and geology in Antarctica during a symposium he conducted during our initial journey across the Drake Passage. 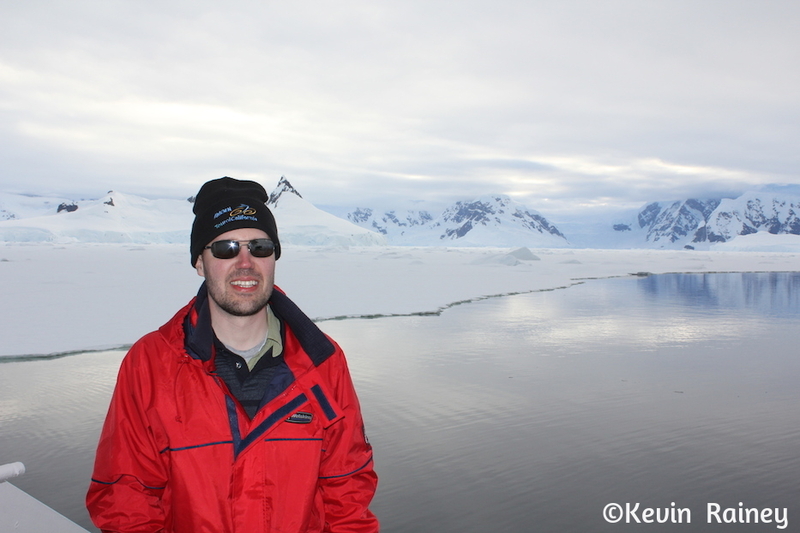 Being a graduate student in glaciology at the University of Alberta, he is well educated in ice and polar glaciers. He explained how sea ice is quite distinct from glacier ice. Sea ice is frozen seawater unlike glacial ice. 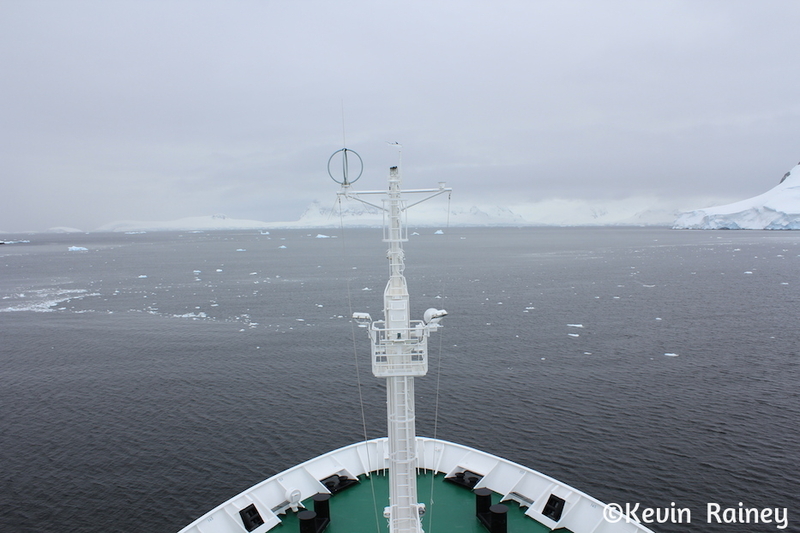 This ice changes significantly in surface extent due to winds, currents and temperature fluctuations. Ian said that sea ice doubles the size of the Antarctic land mass every year – which can take up to 11,000 square kilometers. 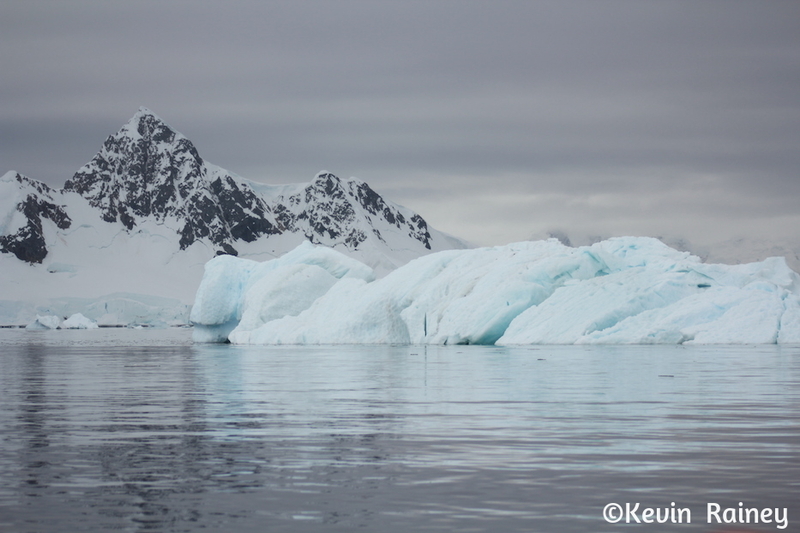 Sea ice is different from icebergs, which are chunks of ice shelves or glaciers that calve into the ocean. Tabular icebergs are the largest ones. Ian explained that the largest iceberg ever recorded was Iceberg B-15, which calved from the Ross Ice Shelf of Antarctica in March 2000. He said it was larger than Jamaica, or about 295 kilometer by 37 kilometers in size! For our afternoon tour, I toured Wilhemina Bay via Zodiac while Jeff went on the kayak tour. We got to see fast ice up close. While being shepherded by our guide Aaron, I enjoyed this afternoon cruise because I had the chance to tour with David, our resident professional photographer. Even though I went to journalism school, have photographed wildlife in Africa and taken photographs as part of my job, I learned a lot listening to him. I simply am not an expert at shooting photos of wildlife in polar regions. 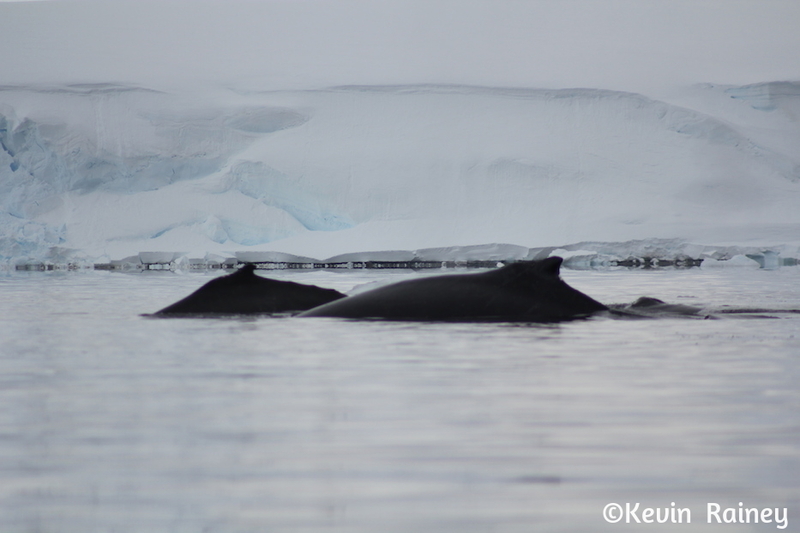 We had plenty of opportunities to shoot wildlife along the ice shelf. 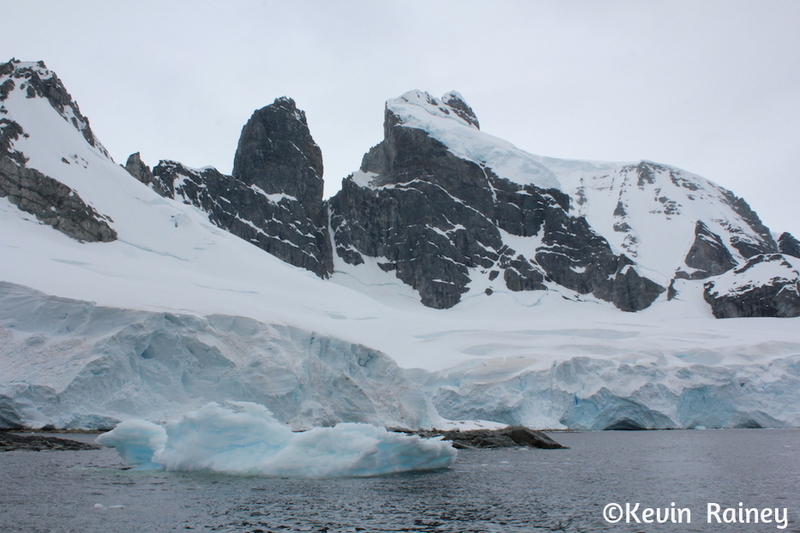 We saw several leopard seals and Weddell seals. 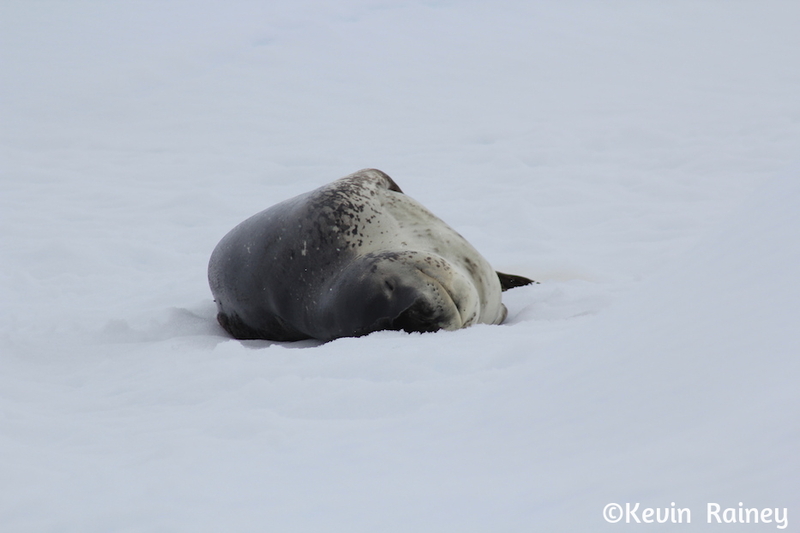 We had seen s number of Weddell seals earlier, but this was the first time we had seen leopard seals up close. Leopard seals hunt alone and are top predators in Antarctica. They eat other seals and penguins in addition to fish and krill. 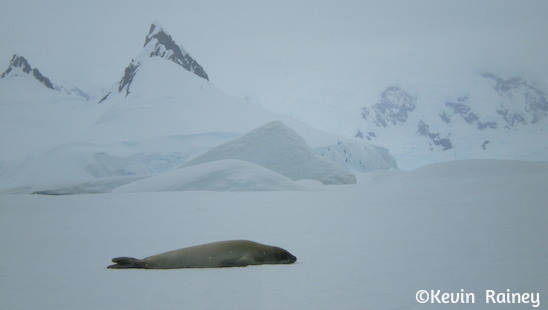 We also saw a few crabeater seals, which are the most common Antarctic seals. Contrary to their name, they eat krill and not crabs! 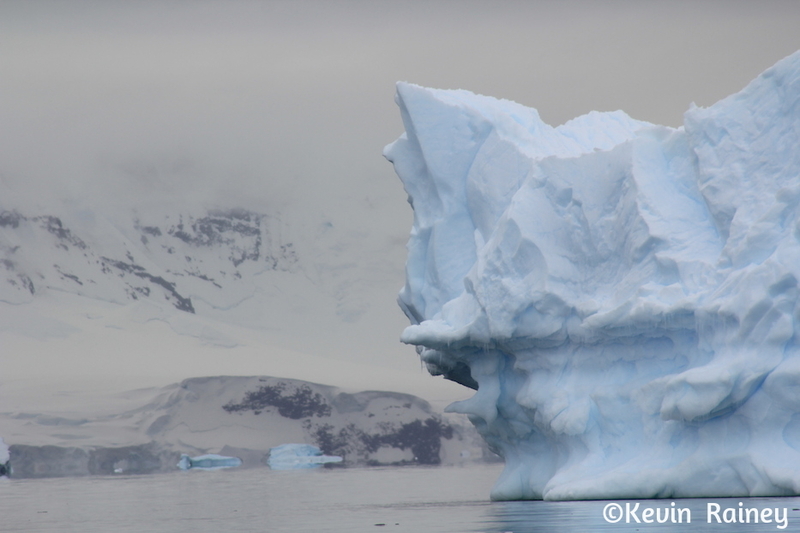 Throughout the afternoon we encountered colossal icebergs. It seem like the landscape of ice stretched into eternity! 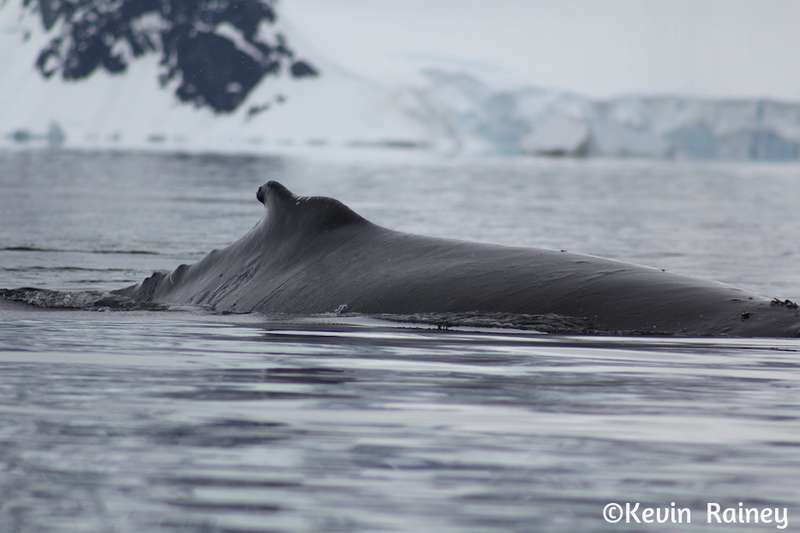 But the highlight for me was seeing families of humpback whales closer than I ever have before. A couple came right up to our rafts and looked at us with their huge eyeballs as they spouted vapor into the air from their dorsal holes. Then they gracefully dove and went right under our Zodiac crafts! 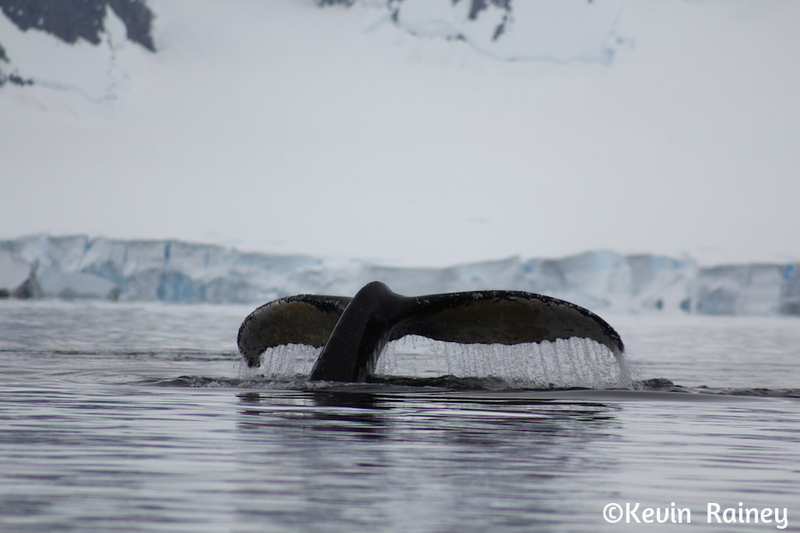 These mammoth whales said goodbye to us as they dove and waved their tails. 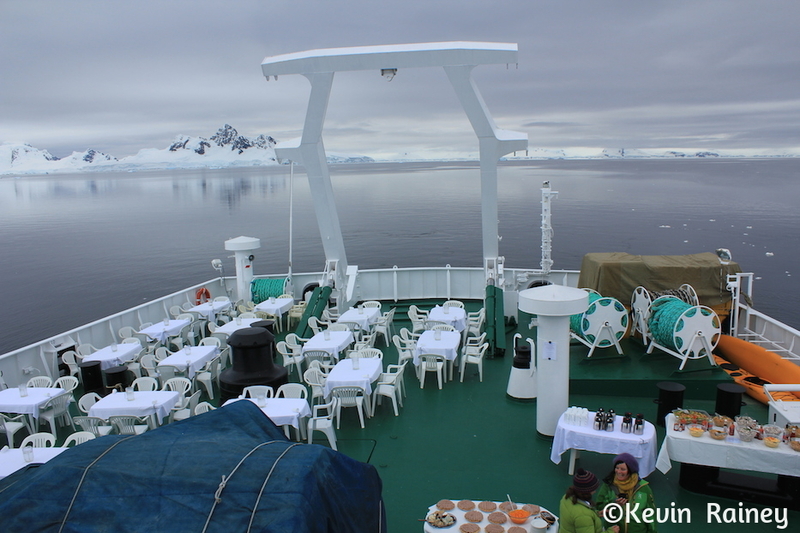 Upon return to the Akademik Sergei Vavilov, we enjoyed some hot coffee with Kahlua before our barbecue dinner on the back deck of the ship. 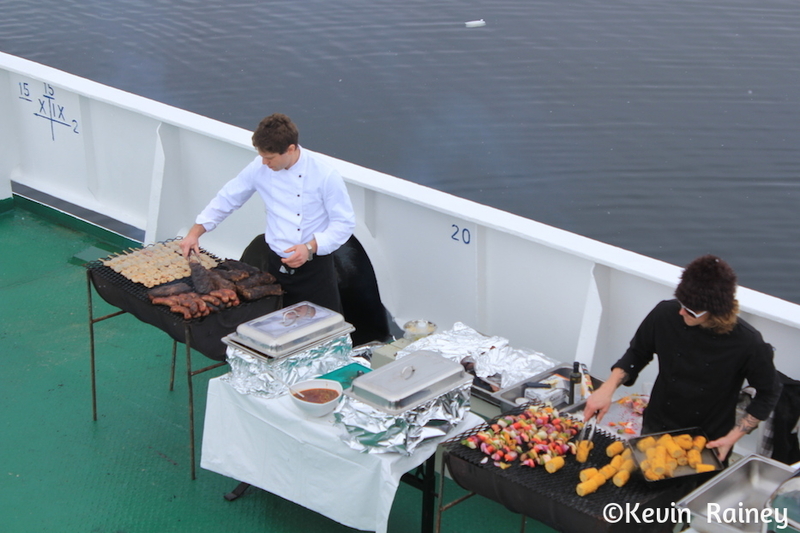 Our cooks dressed in Caribbean attire as reggae music jammed in the background. After dinner, we stayed up and watched the late sunset. 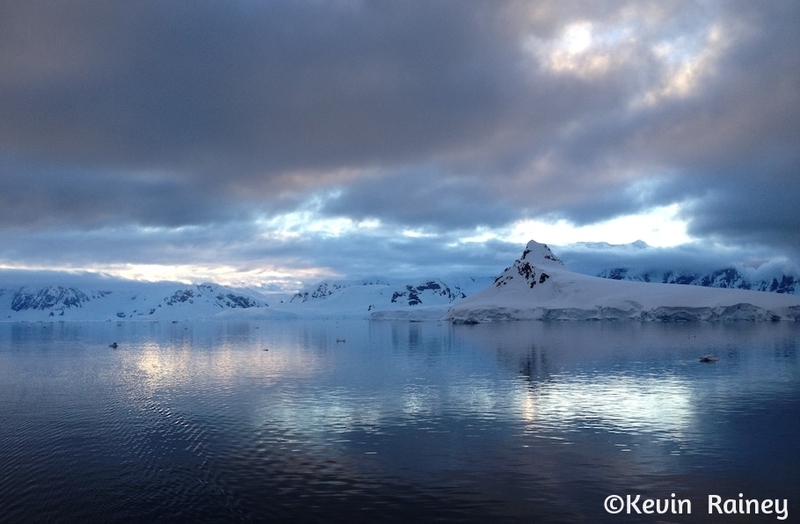 Another unforgettable day in Antarctica!